And drank all the beer! Death certificate cited "cirrhosis' as major cause of death at 42! 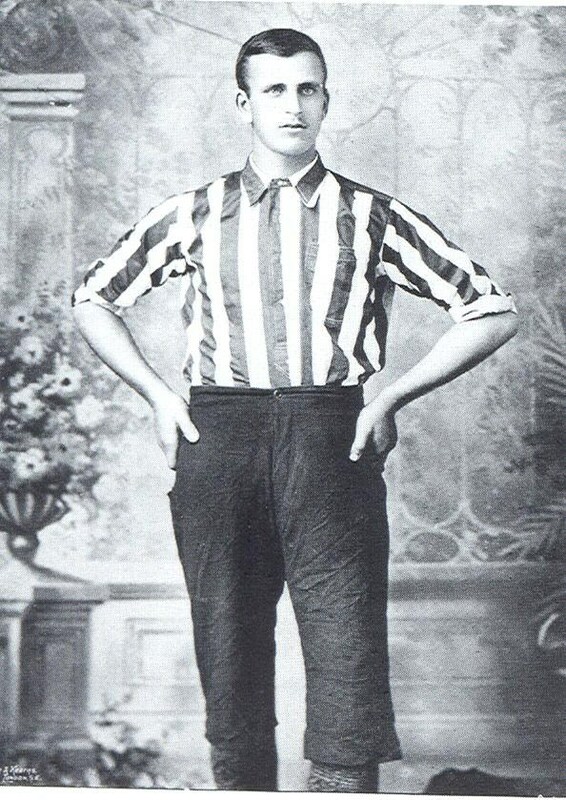 The most famous United player of all time? And I never knew he is buried in Burngreave cemetery. Thy purpose see but all is well that's done by Thee'." Thanks Steve - and here he is earlier in his football career ! 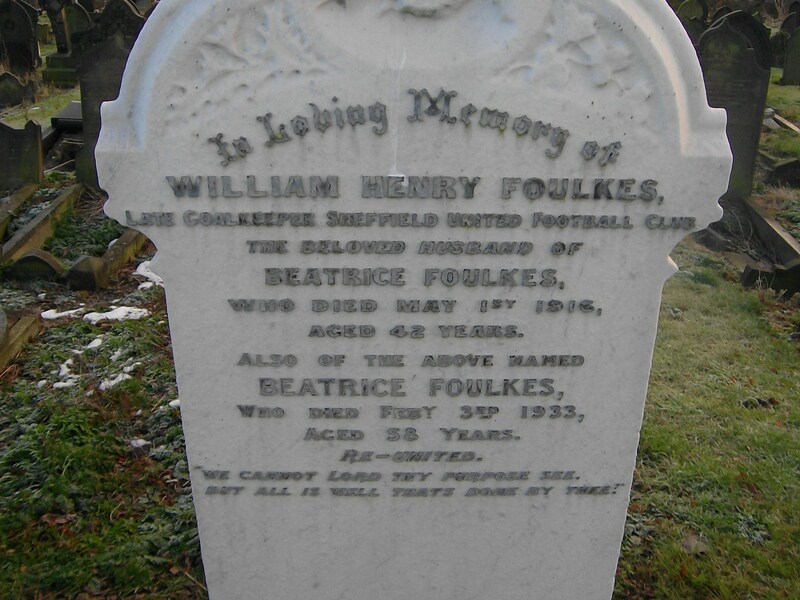 I visited the grave of Fatty Foulkes today. Here's some directions. 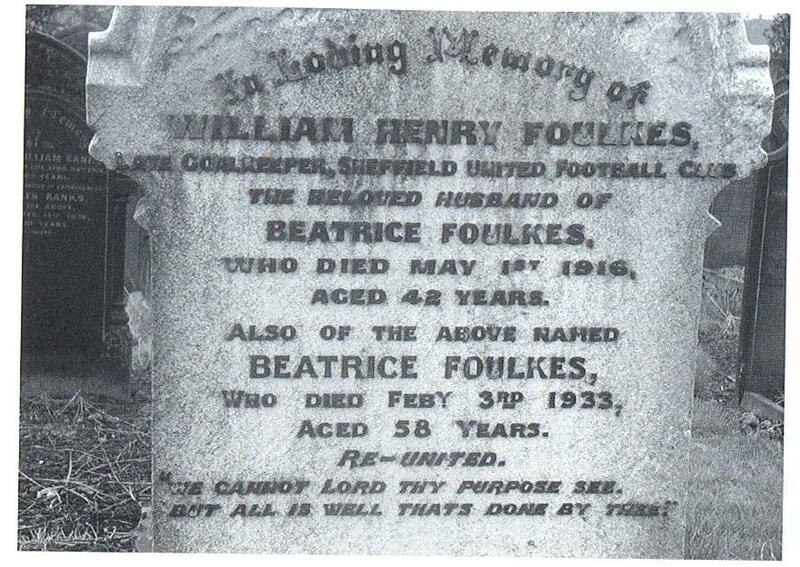 Burngreave cemetery is easy enough to find. You go up the main path to what appears a roundabout in the middle of the cemetery. Turn right up the steps. At the top of the steps turn left and then first right. Foulkes' grave is about 30 yards on the left. Plot KK369. You can't miss it. It's gleaming white amongst all the other dark stone graves. After reading about him its sad that he died at such a young age. 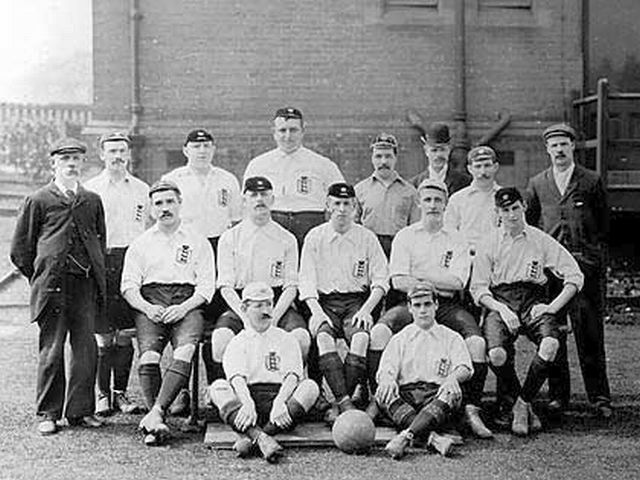 In the TV series (now available on DVD) called "The lost world of Mitchell and Kenyon" or possibly "The lost films of Mitchell and Kenyon" (Mitchell and Kenyon were early British cinematographers) there is actually a short clip of one of their films showing Fatty Foulkes playing in a match. Link may take you to first image in gallery about Goudi. 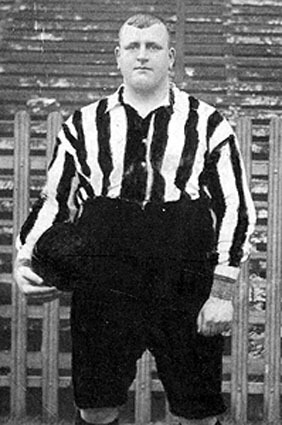 Fatty Foulkes is about the 7th image along in the gallery. I think he was Derbyshire-born; certainly he played in a few first-class games for Derbyshire County Cricket club.